INDIANAPOLIS (CNS) — The letter still touches and inspires Laura Kazlas. She received the letter several weeks after she felt “very strongly urged by the Holy Spirit” to have the children she taught in a religious education program make Christmas cards for the inmates at a nearby correctional facility. “I called the chaplain and asked for a list of names of inmates that never received any visitors, phone calls or letters,” Kazlas recalled. The next part of the man’s letter touched her even more. “His bunkie was a Catholic who had just begun to teach him the rosary, and he attended Mass a couple of times. He was full of hope for his future, and wanted to set things straight with God before he was released from prison,” she said. “I never forgot his letter. It deeply touched my heart,” Kazlas told The Criterion, newspaper of the Indianapolis Archdiocese. That letter has continued to inspire Kazlas during the past seven years as she has served as a volunteer and a visitor at the Indiana Women’s Prison in Indianapolis. She’s involved in Bible study and catechism classes with the women during the school year. 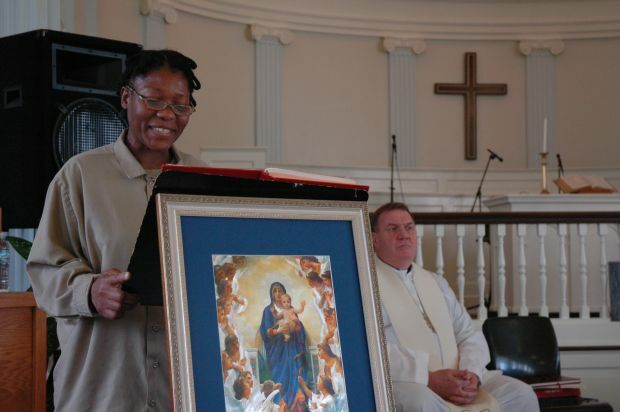 She attends Mass with the women every Sunday evening — Masses that are celebrated by priests from the archdiocese. “Christ called us to visit those in prison for a reason,” said Kazlas, one of about 15 Catholic volunteers at the Indiana Women’s Prison. The razor wires stretching across the prison walls and fences initially filled Deacon Steve Gretencord with fear and uncertainty. So did the thought of doing prison ministry among men who have been convicted of federal crimes that include murder, gun running and the manufacture and distribution of drugs. Then came the experience that unsettled the deacon for the Archdiocese of Indianapolis during one of the Communion services he leads every Thursday — alternating at the United States Penitentiary and the Federal Correctional Institution, both in Terre Haute. That glimmer of interest has developed into a deeper connection in the nearly three years of Deacon Gretencord’s ministry at the prisons. While his fear has faded, the 62-year-old deacon always maintains an awareness of his surroundings during his prison visits. “Things can happen,” he said. 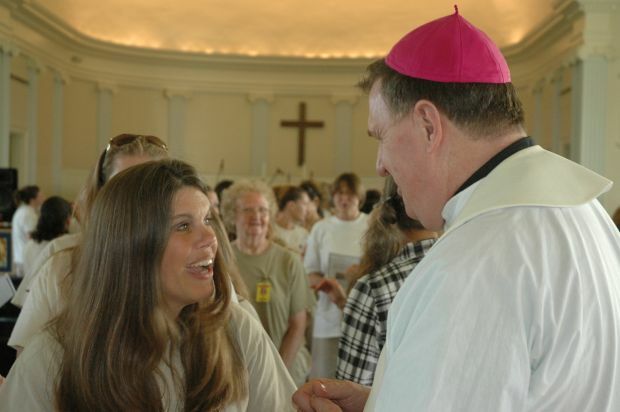 Good things happen, too, including the two times Indianapolis Archbishop Joseph W. Tobin has joined Deacon Gretencord in prison and celebrated Mass for the inmates. Robert Mariacher, 75, said his involvement in prison ministry at the Plainfield Correctional Facility has changed his life. “When you get to ‘visit the imprisoned,’ not many people are doing it or want to do it,” said Mariacher, a member of St. Luke the Evangelist Parish in Indianapolis. “I wanted to go where there was the least amount of people involved. “It has helped me see things I wouldn’t have seen. And it’s helped me become a better Christian,” said the father of four and the grandfather of 12. Shaughnessy is on the staff of The Criterion, newspaper of the Indianapolis Archdiocese.